If you have been following this blog for any amount of time, you know that this was not our story. Lydia, our first little munchkin, was born 9 weeks early. Abigail, our second, was born 11 ½ weeks early. The births were eerily similar: my water broke when I was sleeping at around midnight, contractions started within an hour, the doctors were unable to stop or slow labor, and we found ourselves in the NICU with a preemie. This time, however, we had to have a c-section. While the doctor was “putting me back together” and I was laying paralyzed on an operating table, she told me that she thought she knew the reason I was having early babies. Then Dan and I both thought she said I had a unicorn inside of me. Finally we got things cleared up a little bit and learned, as the doctor and nurses looked inside of me like some sort of weird science project, that I have a unicornuate uterus. Basically that means that, half of my uterus is just solid muscle with no cavity, and the other half is normal. That also means that, when I’m pregnant, my babies only have half of the amount of room to grow, so when Baby reaches about 3 pounds, she runs out of room. My water breaks, labor starts, and we have another preemie. I had a long talk with my OB a couple of days after Abby was born. Yes, I am still able to have more children. However, I will probably never make it past 32 weeks gestation. And, I have an increased chance of having breech babies. I will never get to nurse my newborn. I will never get to hold my newborn baby. I will never get to bring my babies home with me when I’m discharged from the hospital. My deliveries will always have to take place in the operating room adjacent to the NICU so my babies can be rushed out of my sight to the waiting team of doctors and nurses. My babies will always have to spend weeks or months in the NICU. There have been so many thoughts swirling around in my head since this discovery. This is perhaps the most significant event in my life so far that has made me mourn the affects of sin, the curse, and the brokenness in this world. It makes me long for heaven. So, as Dan and I continue our NICU visits, and eventually bring Abby home, we’ll keep processing this news and its implications for our family. And we will continue to cry out to God for grace to trust that all of this is for the best. I know there are plenty who have suffered far greater losses than this, and I don’t mean to minimize their trials. I’m just trying to be a little transparent about the trials God has allowed into our lives, hoping that some will be comforted or encouraged. I pray Thee blend my human will with Thine. Forbid them, Lord, purge, though it be with fire. 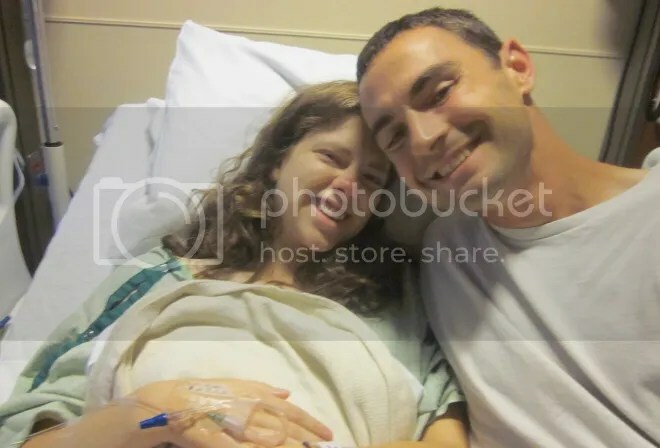 This entry was posted in Lessons and tagged Abby, Amy Carmichael, Childbirth, family, Neonatal intensive care unit, NICU, Trust, unicoruate uterus by justeeni. Bookmark the permalink. Thank you again for sharing, Justine….your honesty before God is so beautiful to see. You have certainly taken a different path to givng birth than you imagined, but through these two, you have been, and continue to be such a blessing as we see you and Dan completely trusting, never wavering in your faith. And you are a tremendous encouragement to others, and will continue to be. Sometimes we never learn the ‘why’ of things, but we thank God for the healthy , though small ,baby girls He has given you, and we thank Him for your faithful testimony. You are all still in our prayers, always will be; praying for continued progress for Abby, for Lydia’s continued growth (what a doll! ), and for peace for you and Dan….for all your needs. We thank Him for you, your gift of writing and encouragement….Love you all so very much. While Declan was in the NICU I realized that God sometimes does give us more then we can handle. Not because he is cruel or unjust, but so we have to fully lean and trust in Him. He is a gracious and merciful God whose “mercies are new every morning”. Thanks for sharing your story…sometimes I don’t always like to share my story, it can make you very vulnerable.